Oct 15 8 LAST MINUTE BEAUTY FIXES. SOS! I’m attending a big college reunion this month with mixed feelings. Of course, I’m looking forward to reconnecting with old friends after another five-year gap. But I’m nervous about the awkward small talk and the attempt to summarize decades of life into interesting 2-minute sound bites. Focusing on style/fashion may seem super shallow – after all this time, does it really matter how we look? There is so much value and delight in just getting together with these amazing people again. But, isn’t it true that if I feel like I look great, then I will be that much more comfortable and confident and I will be able to fully enjoy every interaction I have? I’m not sure how to get mentally ready for something like this, but I did have a long list of more tangible and perhaps overly ambitious ways to prepare – like lose weight, land an amazing job, invent something incredible, maybe like 3M Sticky Pads (yes, my favorite movie scene of all time - Romy and Michele’s Time after Time Dance is epic). 1) Shave my face – That light peach fuzz has got to go. Yes, Mara and I shave our faces. 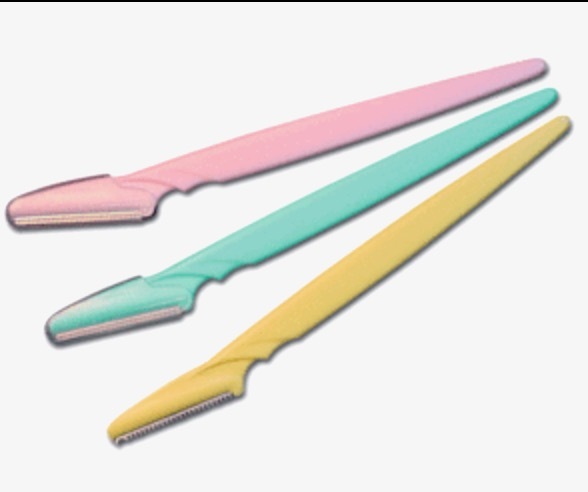 We use the Tinkle facial razor. It sounds strange but it’s easy and makes you feel so clean. Plus your face becomes a much better surface to absorb your pricey serums. Watch this YouTube video beforehand – a bit horrifying, but it made us laugh and taught us things. 2) Dye my Eyebrows – Great eyebrows are essential to creating a confident, totally together look. You can DYI by using Just For Men mustache dye that’s designed for fine facial hair - under $10 and you’ll get 8 or more applications. Chose a color that is closest to your natural hair - I get the medium brown. If you’re unsure, go a shade lighter, or don’t leave the dye in for the full 5 minutes the first time you do this. Read this article to get some pointers and safety tips. 3) Crest White Strips – I definitely have time to do a full round of these at home. Although it may be hard to find 30 minutes where I’m not eating/drinking (! ), nothing says healthy and young more than clean white teeth. 4) Hair Roots - I’m cutting it close to schedule an appointment at the salon before I go, so I might just have to rely on the seemingly magical Color Wow Root Cover Up. It covers grey or dark roots instantly, fills in gaps along your hairline and part and even makes you hair look thicker. It really does stay on for days until you shampoo it out. Each compact has approximately 60 uses. 5) Eyelashes – I admit I fell for the ads and online rave reviews and and purchased a set of magnetic eyelashes. They were huge fake hairy caterpillars that were impossible to apply. One of Mara’s BFFs is a Hollywood-based make-up stylist and only uses Lancome Hypnose mascara on her clients. We both bought it and are total converts. I use it daily and build it up a bit more for evening. 6) Face Mist – Mara mists religiously. 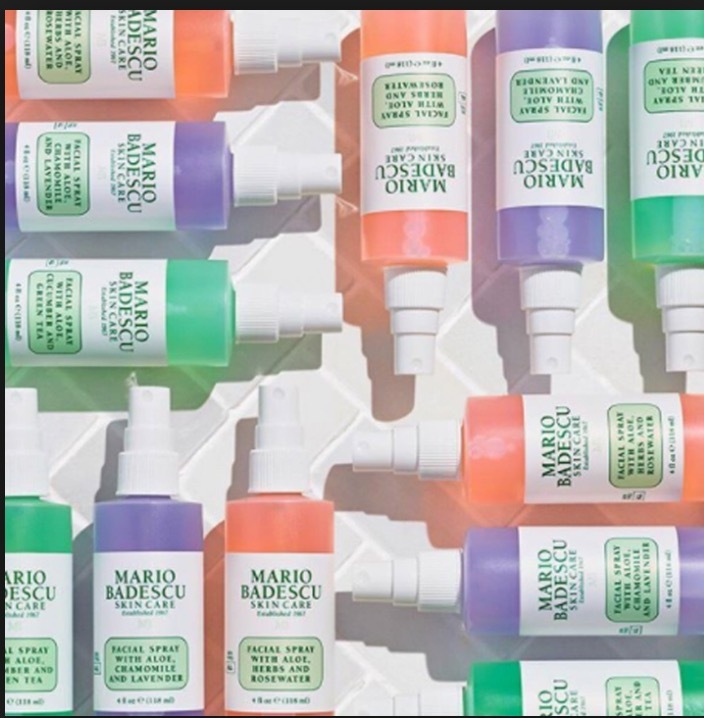 I love the whole Glossier vibe and especially their soothing rosewater mist, after all “there’s no wrong time or place to mist.” Mara’s a fan of the Mario Badescu 3-pack - 4 oz. each of lavender, cucumber and rose. 7) Greasy Face – In case I forget to bring a powder compact - did you know you can use the toilet-seat cover in the ladies room to blot down a shiny T-zone? 8) Tan – My college BFF Shannon has Amy Adams’ gorgeous but fair coloring and likes to add glow to her skin. She swears by the L’Oreal Sublime Bronze towelettes. They are really easy to apply and not a lot of drama – read this “how to” description that should help newbies. Mara’s been helping me put together some easy outfits. I’m borrowing her Vince satin slip dress that’s greenish/black (sold out but similar style here). Since I’m saving money on that, I’m pairing with these completely cool Loeffler Randall gold foil mules. More to come on outfits for the weekend. We would love to hear from you - please sign up for our newsletter and join us on Instagram @TheKoolestWomen and at Facebook.